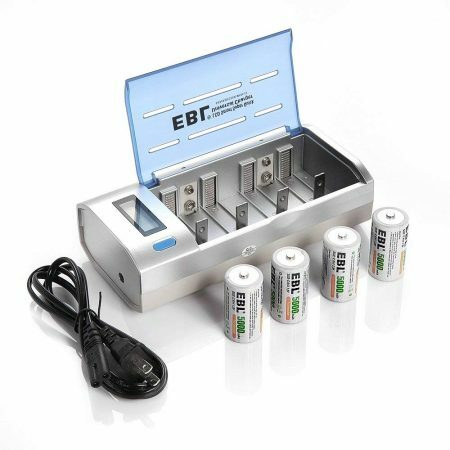 Packages: EBL 4 Counts AA 2000mAh Ni-MH batteries with 4 Bay AA AAA Rechargeable Battery Charger. 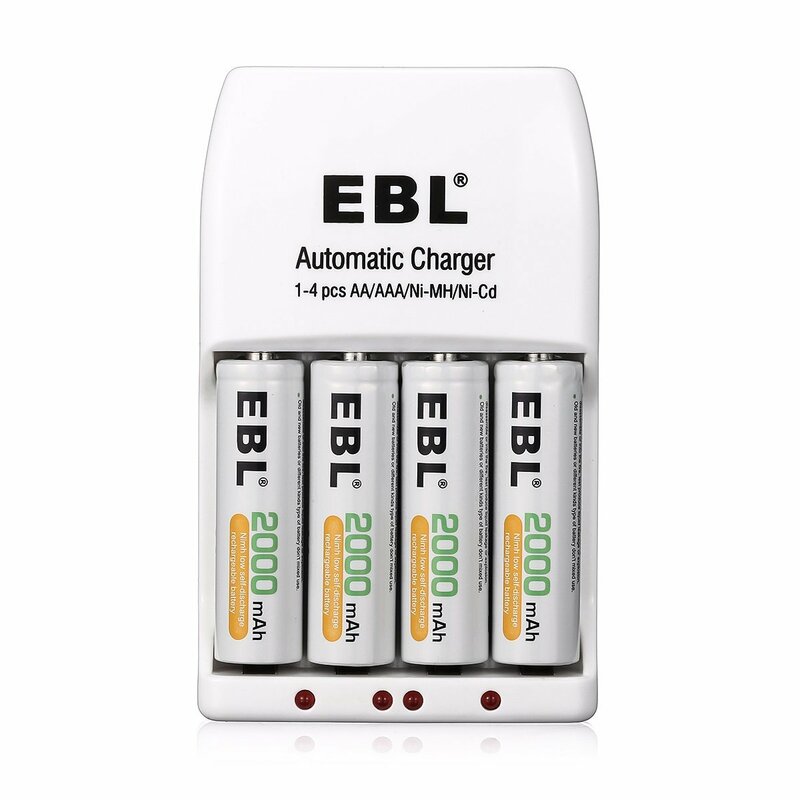 This EBL battery charger can freely charge 1/2/3/4 pcs of AA/AAA battery. 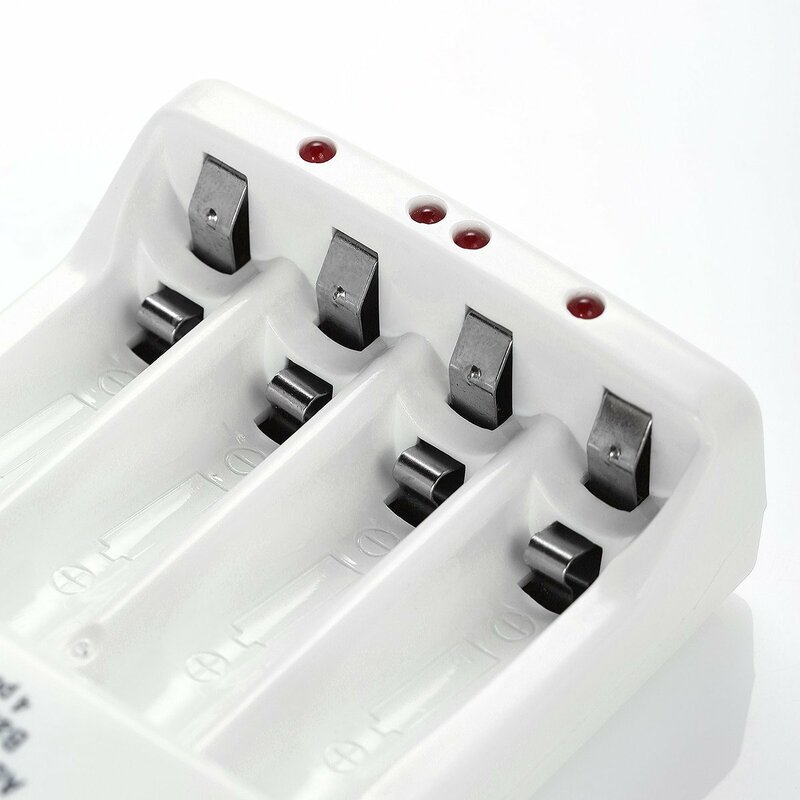 Controlled by MCU, the -△V pulse charging technology prevents the charger from over-charge. 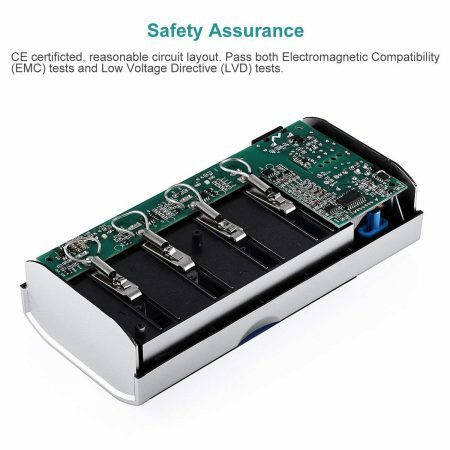 Improved low self discharge makes it still maintain 85% of capacity after storing the battery for 1 year. 1. Individual charger, can optionally charge 1,2,3,4 different AA AAA Ni-MH Ni-CD rechargeable batteries. 2. The LED indicators show the charging progress clearly: RED–charging. 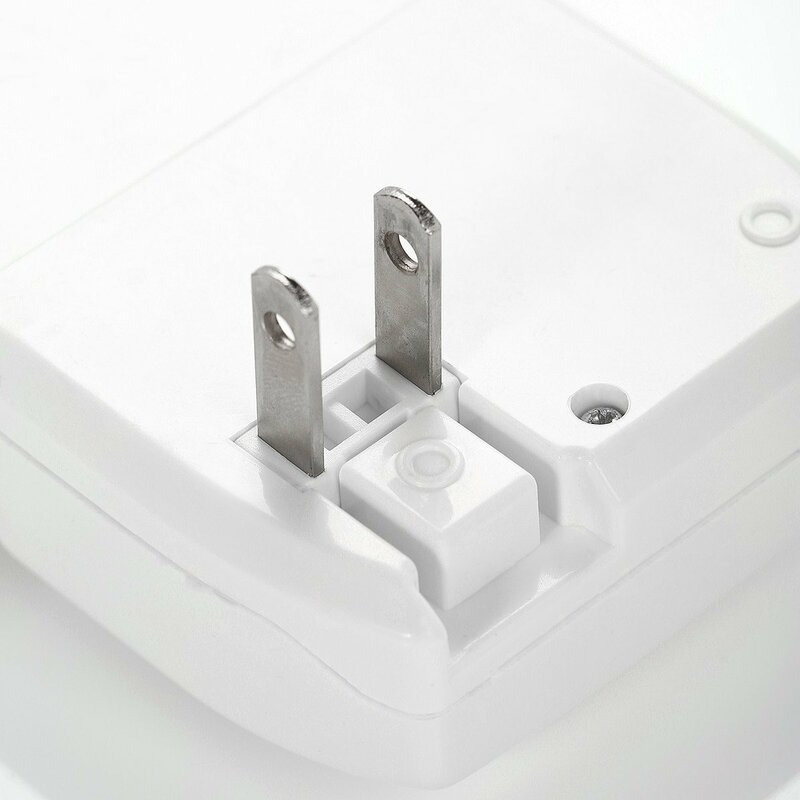 The charger will turn off the light automatically when batteries are charged fully. 3. 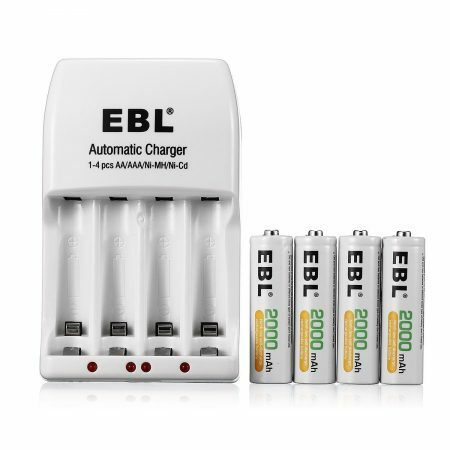 Constantly charging current and voltage keep the battery last long. 4. 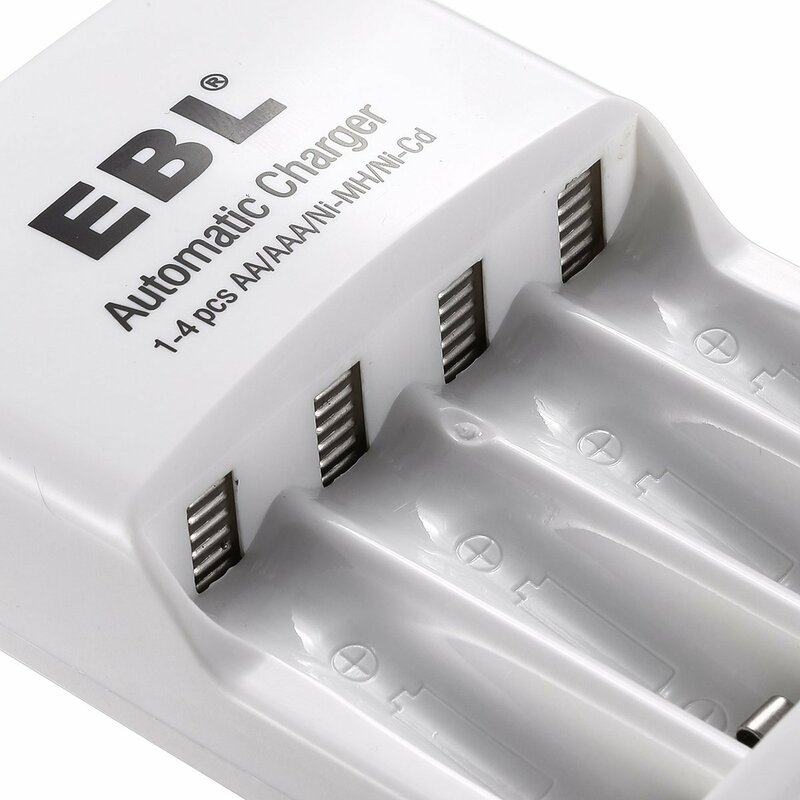 Worldwide Voltage makes it convenient to use the charger around the world. 1. 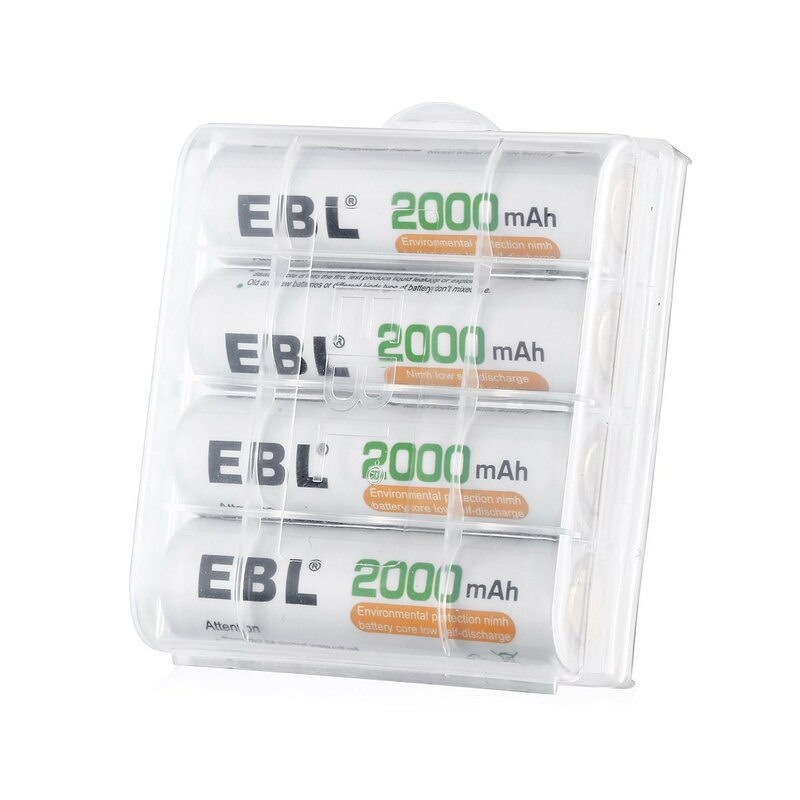 Quantity: 4 Counts AA 2000mAh Ni-MH rechargeable batteries. 3. High performance, up to 1,000 rechargeable cycles. 4. 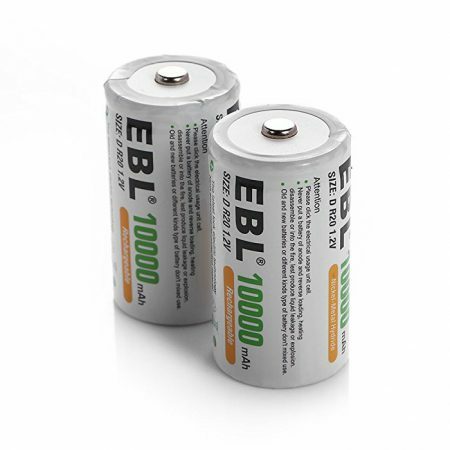 Precharged 15%~20% of capacity, the batteries can be used when you get them. 5. 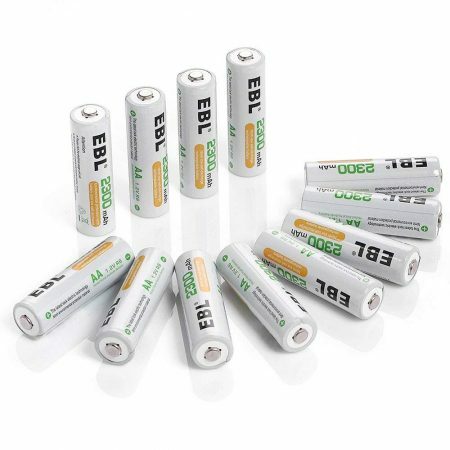 Excellent charge/discharge performance, the batteries will keep a high quality after 3-5 times charge & discharge after first use or after storing for a long time. 6. 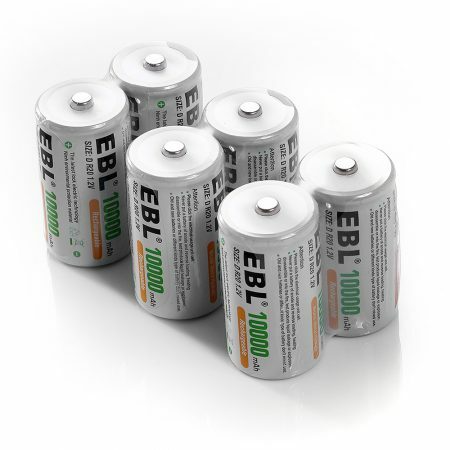 Longer life in the high drain devices than normal Alkaline batteries. 7. 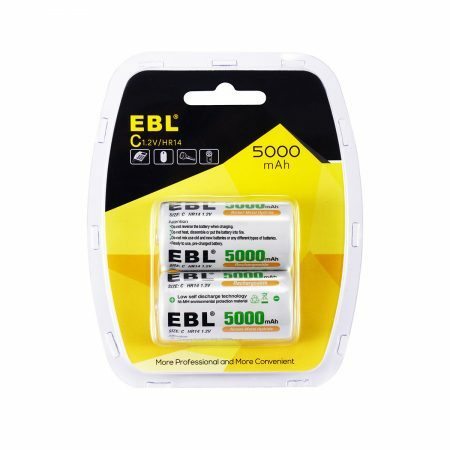 Great for high power demand devices such as digital camera, children’s toys and so on.